Firebird Bandit II was a modified Firebird by Choo-Choo Customs from Tennessee. Every Firebird came with it's own dash plaque signifying it's production number for the year. It included different decals and stripes and even a mock shaker scoop. It also came with embroidered seat covers with the name on the front and a bird on the back seats. Ok, why do you ask is a Third Generation here mainly on a Second Generation website? 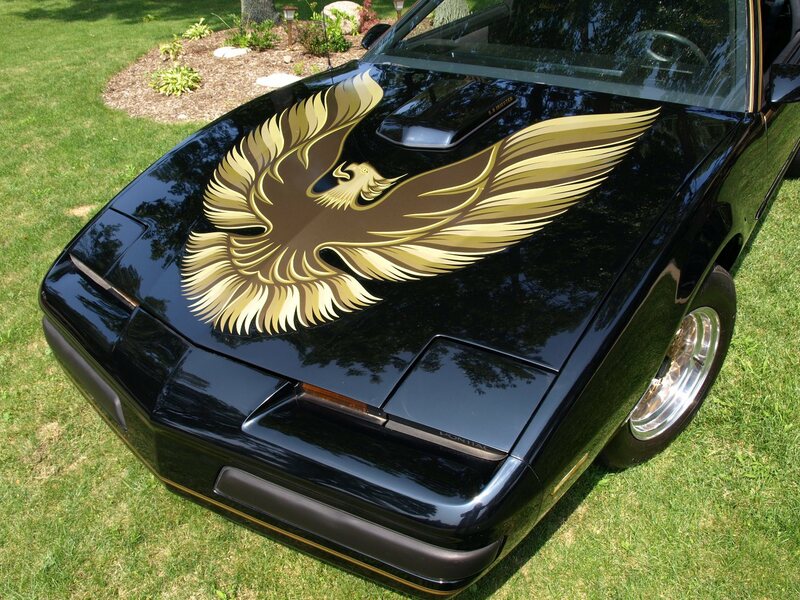 Well, I thought I would make mention of the Bandit II Firebirds because of their obvious flashback to the Second Generation Special Edition Trans Am's of the 70's and early 80's. 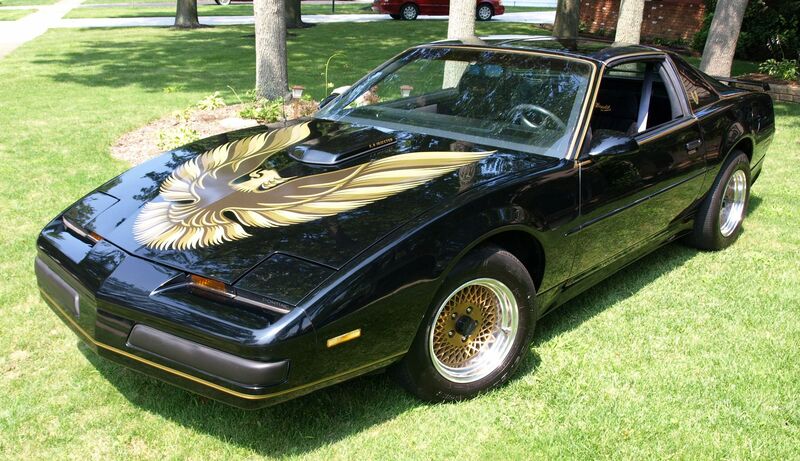 The Bandit II Firebirds were produced by a company called "Choo Choo Customs" (sometimes referred to as "Chattanooga Customs" or "The Custom Center") out of Tennessee. 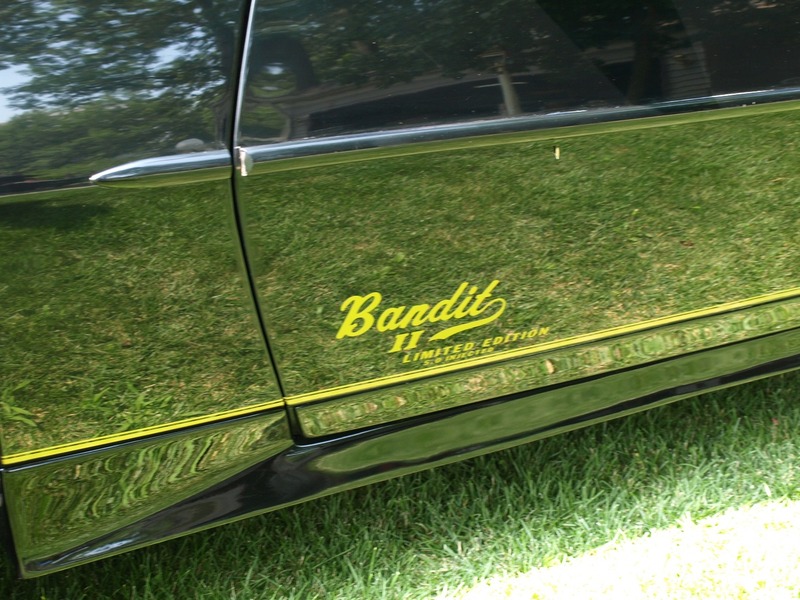 This Bandit II was strictly an Appearance Package that was performed on Firebirds from 1987 to 1992 and consisted of a "mock" shaker scoop on the hood, custom gold decals and striping reminiscent of the Special Edition Trans Ams, gold snowflake type rims, special ground effects, and custom embroidery on the front seat head rest signifying the "Bandit II", and a plaque on the dash signifying the serial number of the car such as #143 out of 500. 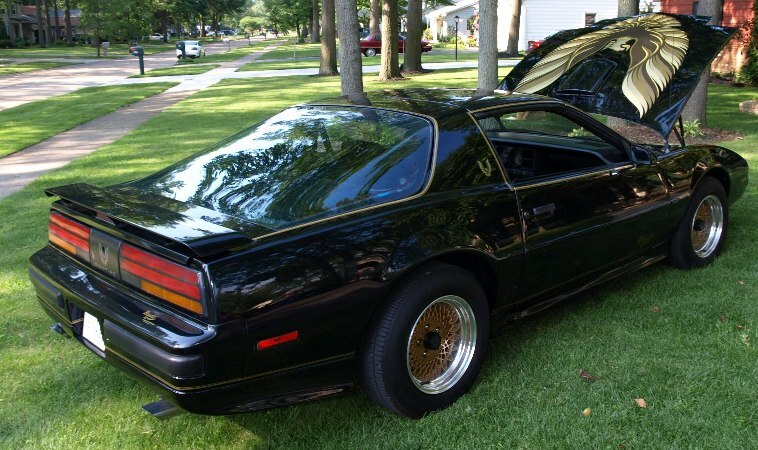 The package was mainly performed on the base Firebird with the 305 V-8, but there are also some base model Firebirds out there that have this package done and have the V-6 engine in them. According to various sources, there were approximately 500 produced each year for 1987, 1988, and 1989, and then 600 produced each year for 1990, 1991, and 1992. In the past 15 years or so, I have only seen a handful of these cars.... less than 10 actually. Out of all of these cars, I have never seen a serial number out of the 100's. So, how many of these cars were actually produced is really unknown. I do know that you really do not see many of these cars out there on the roads today. 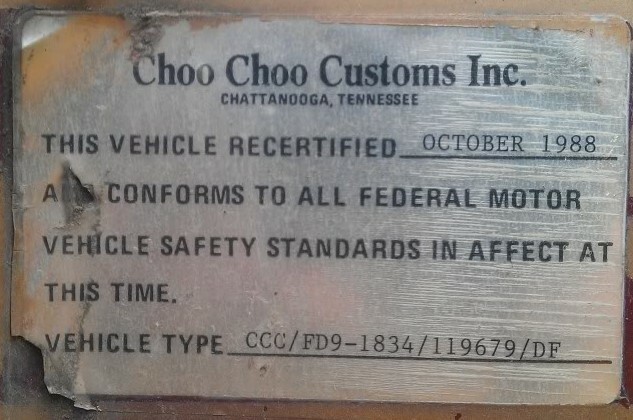 Not really too much information is out there about Choo-Choo Customs out of Chatttanooga, TN. They started back in 1975 doing conversions to vans. 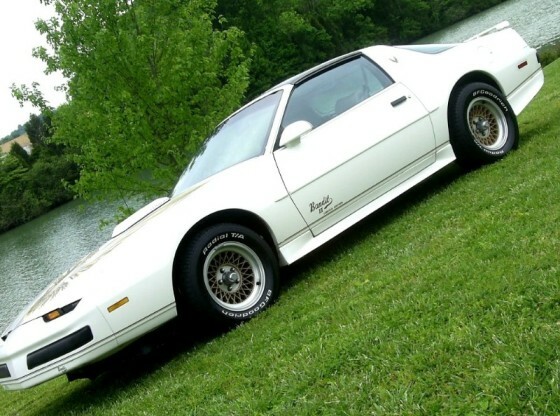 It wasn't until 1983 that they started doing specialty conversion to cars like the Firebird, but also they started with and were big into converting El Camino's as well. Supposedly between 1983 and 1987, they converted 2,200 El Camino's into a "SS" version. 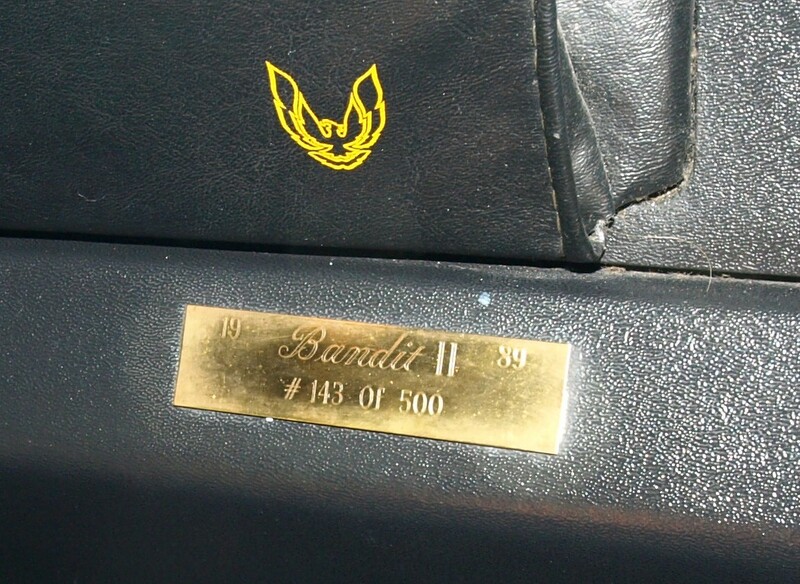 The Bandit II package was purely cosmetic and was only applied to Firebird models, not T/As or Formulas. It included a full ground effects kit that integrated nicely with the factory bumpers and featured cutouts for the new dual-dual exhaust tips. The hood is dominated by a late 70's hood bird and a nonfunctional hoodscoop that mimics the design of the Shaker scoop. Also gold stripes can be found outlining the body and special "GTA" style gold rims, like the '77-'81 Special Edition Trans Ams. 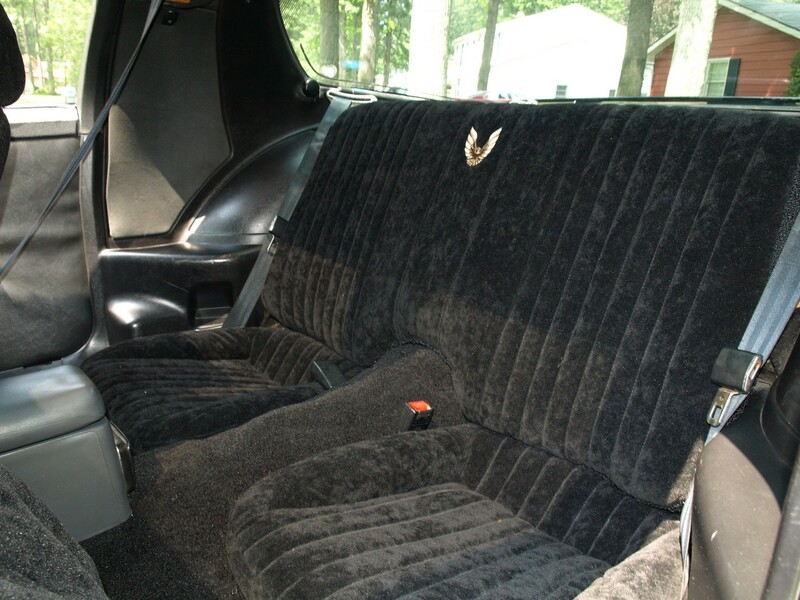 The interior seats and floor mats were treated to custom embroidery, and the dash received a gold trim package. There's also a dash plaque displaying the vehicle's build number. The final production numbers are unknown for all the years. 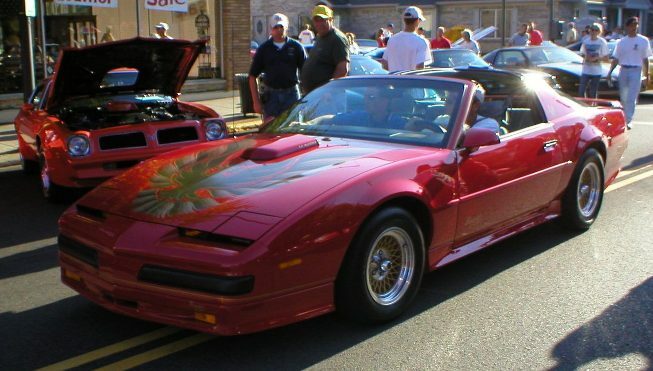 Although many conversions were done on the Black Firebird's there seemed to be just as many out there that are red and white cars. I have enever seen any other colors out there except for these 3, Black, Red, and White. If you have one of these cars I would be glad to hear about it. Send me an email to "BanditIIEdition@78ta.com" and check below for a list of current cars that I know of so far. Also, if you have any other information that would be good on this page such as any flyers or brochures from Choo-Choo Customs or anything that would add to these mysterious cars, send it along so I can add it here. A few but still not revealing link about Bandit II and Choo-Choo Customs. I do have alist of names and cars that people have sent me over the years.